Select the icon for the visualization to which you wish to navigate. Click on a part of the map, line graph, or bar chart to navigate to the visualization. Note: Count variables like Clients -> Totals -> All Services are heavily influenced by state populations, which leads to skewed distributions. Maps for these variables will show many states with the same color. Line graphs and Bar charts for these variables that contain states with large and small populations may result in data series that appear to be all zeroes. These visualization tools are most effective with percentage and ratio variables. Click on the rectangle boxes to navigate to graphs and charts for smaller states. Click a column heading to sort the data table by that column. Click a second time to change the sort direction. Use the Save menu to download the map and/or data table. The following map illustrates an example of a variable that is heavily influenced by state populations. California and Florida are a dark color associated with the high end of the variable scale while most of the states in the middle of the country are a light color associated with the low end of the variable scale. Users should not assume that Florida and California are performing significantly better than most of the other states. The following line graph illustrates an example of a variable that is heavily influenced by state populations. California shows changes across years while Alaska appears to be the same amount with little to no change. 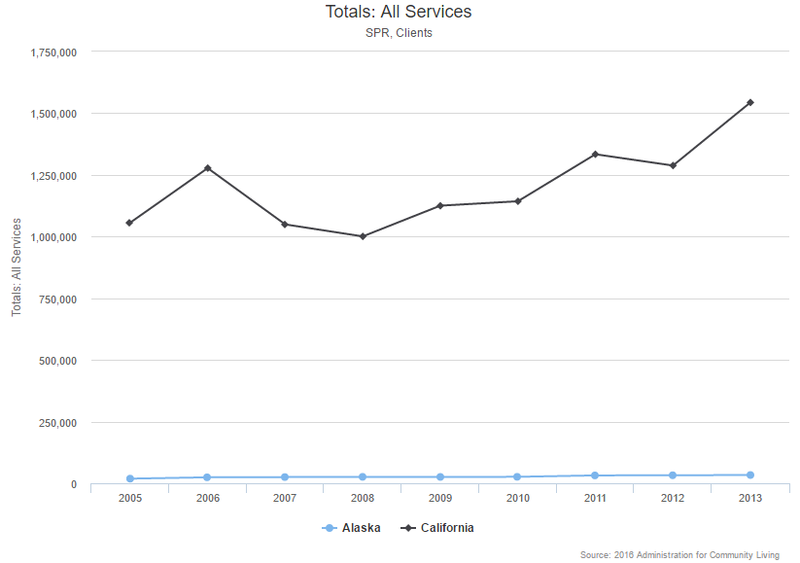 Users should not assume that California is performing significantly better than Alaska. The following map illustrates an example of a variable that is appropriate for comparison across states with significantly different populations. 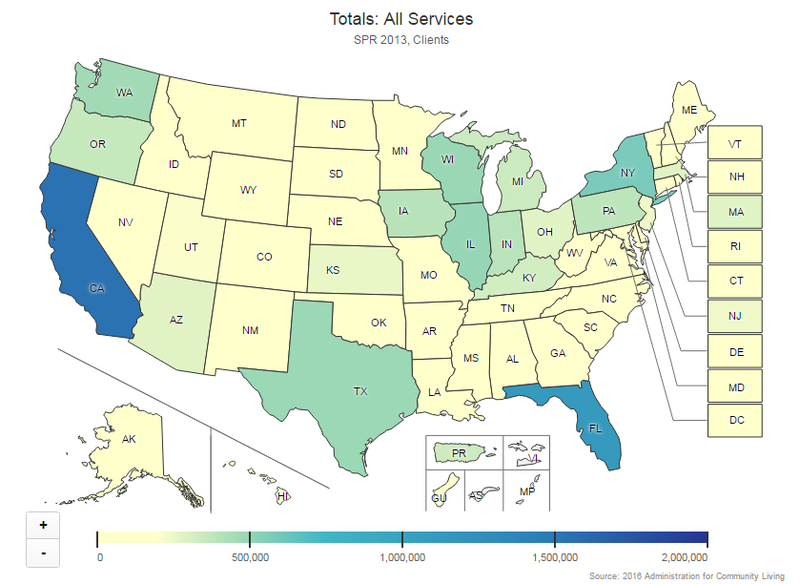 The map colors allow users to compare states on an expenditure per unit basis.